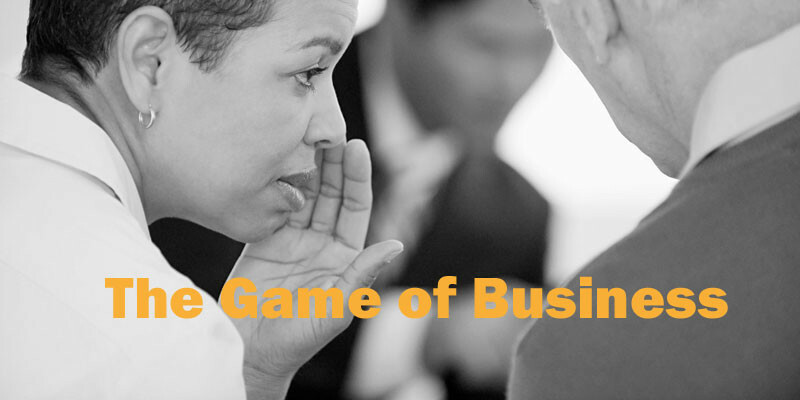 Do you remember how the “Game of Business” used to be played? Millions and Millions of dollars were spent on “interruption messaging” in an effort to get a business buyer or a consumer to make a “purchase decision” by selecting your product or service first, at the expense of your competition. Most of those, are still trying to focus on attracting your best buyer by “pushing out” the “features and benefits” of your products or services, regardless of how media is being consumed by the end user or buyer. Can you hear the cries of anguish of the “media dinosaurs” as they sink into the swamp of mediocrity? Every day, Main stream Media and Business pages are filled with stories of exploding digital viewership and engagement, less hours of conventional viewing and listening, print readership in steep decline, Cable cord-cutting and the “disruption” list goes on and on. Gone are the days of spending enormous amounts of cash and resources, trying to reach the “ideal buyer” through the old rules of “B2B” (business to business) or “B2C” (business to consumer). In today’s 24/7 “Online and Everywhere” environment, buyers are using Search Engines, Social Media and a multitude of other online and offline platforms to get the information they want, whenever they want, and on the device of their choosing. The Social numbers are staggering – ranked at #10, Reddit has the lowest number of monthly users at 175 million with Facebook at over 1 Billion and growing. A “Hybrid Agency” is one that can take advantage of all the new forms of digital communications and understands the integration of proven “pull marketing systems.” A Hybrid Agency knows how to help businesses get in front of customers and clients who are eager to become engaged and buy. People are already talking about you, whether you like it or not – both on-line and off-line. The latest Research on “Buyer Behavior” (including Nielsen) says:84% of consumers say they either completely or mainly trust what their friends, family or associates are recommending when it comes to making a purchase decision. 88% of consumers read and trust online reviews written by other consumers as much as they trust the recommendations from people they know. 91% of “business buyers” are influenced by “word of mouth” conversations when it comes to making a major purchase. 86% of consumers report that when it comes to taking action and moving forward with a buying decision, the major influence was “word of mouth conversations’ from others they trust. 72% of business owners and Corporate decision makers still do not understand the power of “word of mouth conversations” and have no strategy to incorporate it into their marketing plans. Executed properly, this can be the most cost-effective competitive advantage you’ll have in 2018.